For those that love classic muscle cars, one vehicle that continues to be in the mind of many car tuning enthusiasts is the Camaro. While the Camaro continued to be popular for the next several decades, it was the classic muscle car of the 60’s that really caught the attention of car enthusiasts around the world. Well, if you haven’t heard yet, there is a new retro Camaro in the works and this vehicle is blowing away car critics everywhere. For those that love the lines of the classic Chevy Camaro, expect the retro 2010 Camaro (being released next year) to look as good or even better than the original. The new Chevy Camaro will come in three flavors, the first is a an LS version with a V-6 3.6 liter, the second an LT version comes with the same engine and a little higher trim package. Both engines offer a very respectable 300 horsepower. The price for the LS and LT starts at $23K. 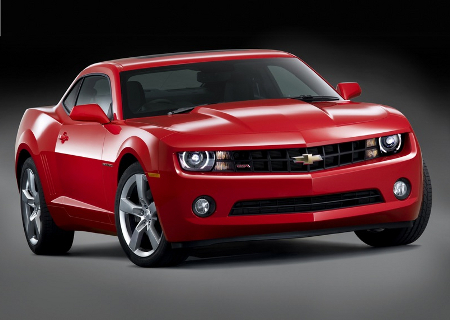 The third model of the Chevy Camaro is the one sure to turn heads- the SS comes with a 6.2 liter V engine and is geared toward high performance. Expect the engine to produce 370 horses, more than enough for those muscle car enthusiasts to regain the original thrill of yesteryear. The Camaro SS is incredibly affordable at about $31K. Expect demand for the Camaro SS to be huge. Already, there is plenty of buzz being generated about the vehicle and since this car is absolutely stunning expect it to be much more popular than any of the retro vehicles that recently entered production (the Ford Mustang and Dodge Charger). Chevy is currently taking preorders for this car and although it is a 2010 model, production and delivery will begin in 2009.